Merrymakers hoping to glimpse Taipei 101’s annual New Year’s Eve fireworks show better hurry, as this year’s may be the last. Taipei 101 spokesperson Liu Jia-Hao announced today that due to the difficulty of securing sponsors, as well as increasing concerns about environmental sustainability, future New Year’s Eve shows may use stage lighting instead of fireworks. The cost of producing the show has been escalating over the years; while the most recent iteration cost a staggering $38 million NT ($1.2 million USD), the coming one will up the price to $45 million NT ($1.4 million USD). 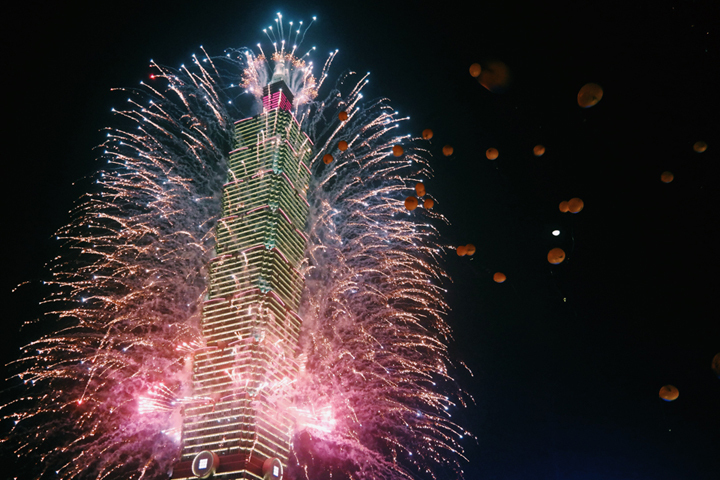 While the year-end fireworks show has become an icon of Taipei, Liu pointed out that putting on a New Year’s spectacle is not at the core of Taipei 101’s business model. Eco-friendliness, a tenet of the skyscraper ever since it acquired LEED Platinum certification in 2011, has also been a factor to consider. This year’s New Year’s Eve show, themed “Nature Is Future,” will last 238 seconds and feature 30,000 fireworks.